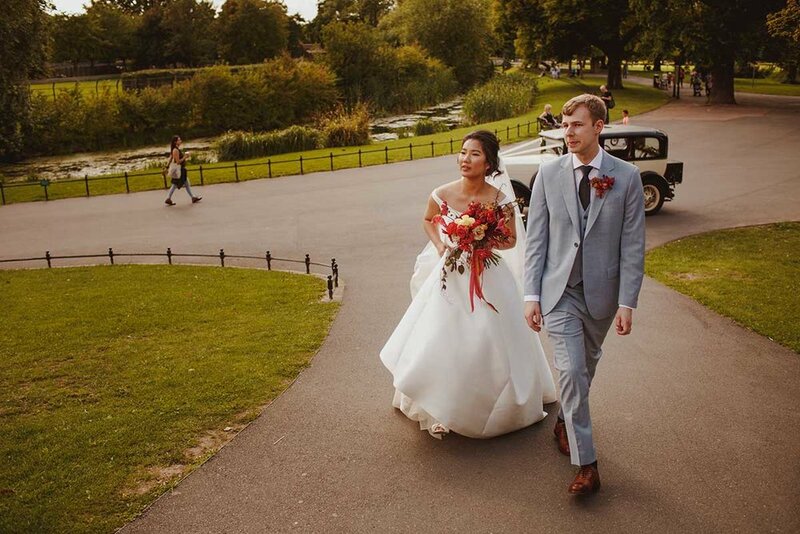 Jen and Scott had a very specific colour scheme for their summer wedding in London, every flower had to be shades of red and gold. 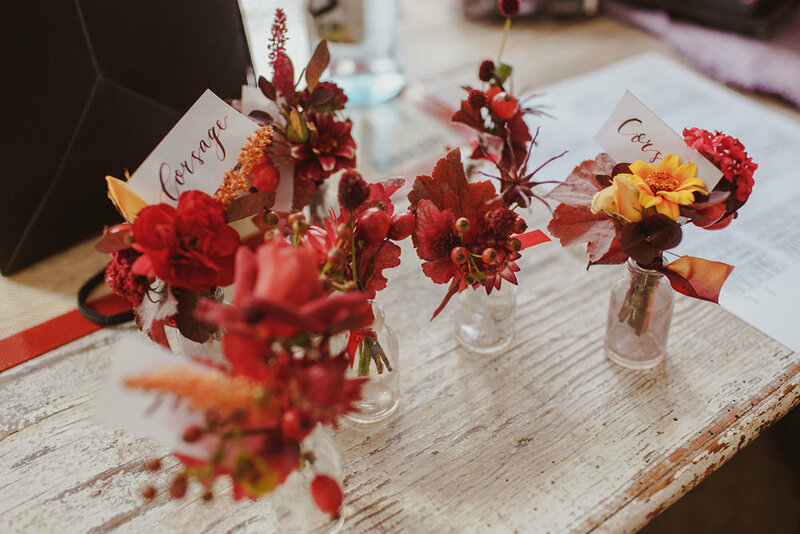 From vivid bright red to Rose hips to deep burgundy Heuchera leaves and every hue of red in-between. 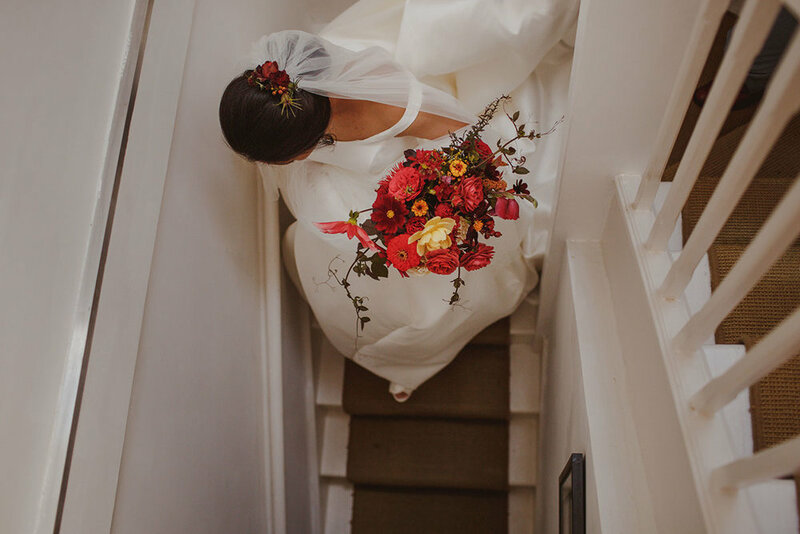 Jen's bridal bouquet was filled with vibrant bold garden Roses, flaming red Zinnias and scarlet Dahlias, we added touches of gold with yellow and orange Marigolds and blowsy buttercup coloured garden Roses. The delicate buttonholes were wrapped in tonal ombre silk ribbons, each buttonholes slightly different to the last and filled with unusual homegrown garden flowers. 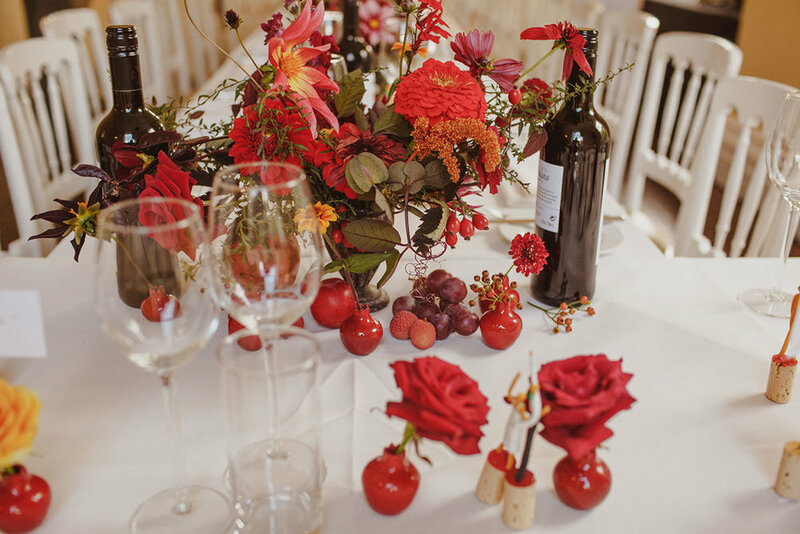 Their wedding breakfast centrepieces too were filled with bold red and gold flowers, dotted down their long dinning tables, intermingled with single flower stems in tiny ceramic red pomegranates. At the end of the evening a few of Jen and Scott's lucky guest got to take home centrepieces, to treasure for a few more days.